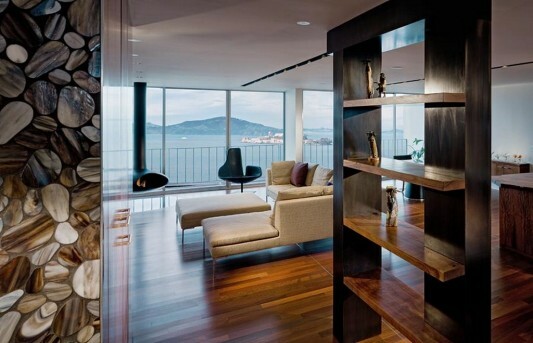 Sloop of black walnut in use in many interior make this luxurious penthouse apartment. Ludwig apartment is located in San Francisco is facing towards the view that take advantage of the north and south, so get the movement of the sun throughout the day. 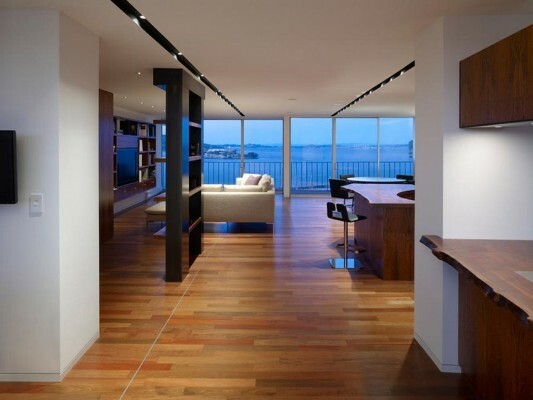 Apartment interiors made into a more open space, with four original bedrooms and four bathrooms in the room redesign. 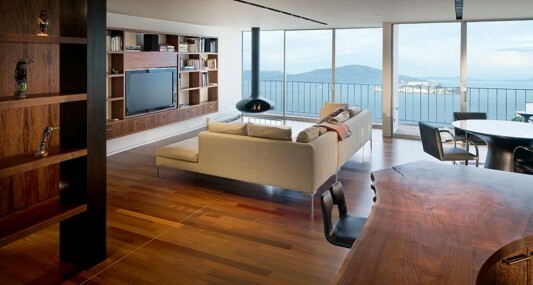 The concept of a stunning penthouse interiors done by Craig Steely, they make all the detail is perfect and wise. 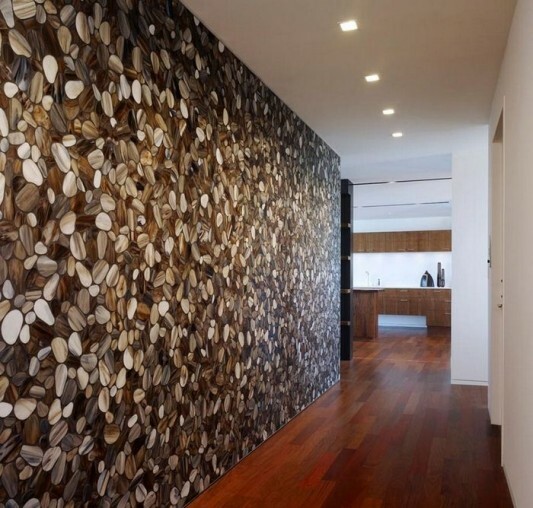 The use of natural materials is emphasized in forming a beautiful and comfortable interiors, floors and various other furniture is rich in black walnut, as well as kitchen and bathroom look spacious and modern. Interior with a spacious living room contains a sofa and comfortable and multifunctional LCD TV cabinets and fireplace bio-fuel. Design a unique fireplace hung with black colored chimney, seen as a unique and creative designs. In the living room with an open concept combined also with dining area and a mini bar, mini bar design on the table by using slabs of black walnut looks classic and elegant. 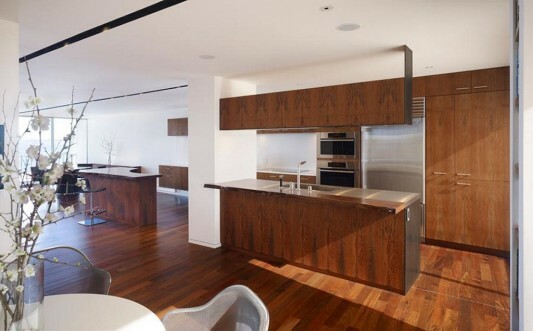 This space is also adjacent to the kitchen which has access between spaces with ease. 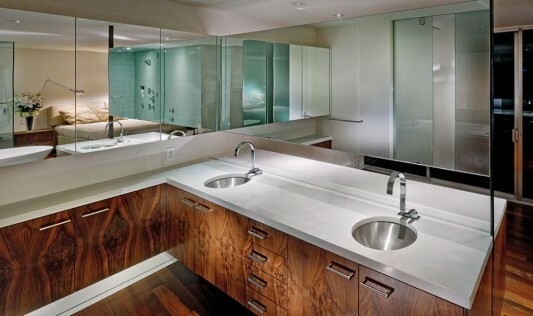 Going to the bathroom area look modern and luxurious, with a blend of black walnut and mosaic tiles around the tub, shower cabins come equipped with a modern to a different bathing pleasure. Visit Craig Steely for more information.